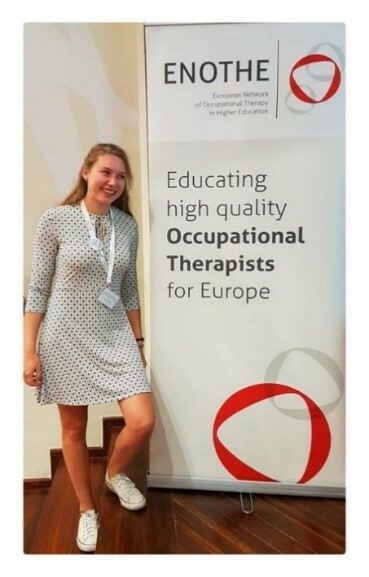 As some of you may know, last October I became the first student on the ENOTHE board (European Network of Occupational Therapy in Higher Education) to fulfil the role of student representative. This means that YOUR student voice is now heard, valued and can influence the decision making of the ENOTHE board! Please contact me when you have ideas and/or suggestions which I can share in the board. Every idea is welcome! To have an idea on the variety of topics on which you can give input, I’d really like to share with you my experiences as the student representative in the ENOTHE board. During my very first AM, I got in touch with students who had the idea of setting up a platform for OT students to stay connected throughout the year. I got involved, other students graduated and I took the lead in developing the platform. Throughout the years we’ve grown a lot and got to work closely with ENOTHE. More and more SPOTeurope was asked to give their student opinion and input for increasing student engagement within ENOTHE. 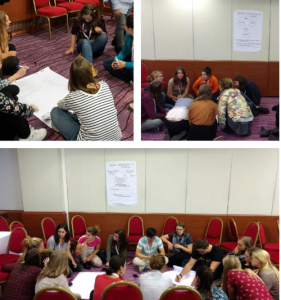 In 2017 at the AM @ Zagreb, SPOTeurope hosted for the first time a student meeting in which all participating students brainstormed about the future of SPOT & ENOTHE. One of the important outcomes was the wish of having a student as a board member of ENOTHE. 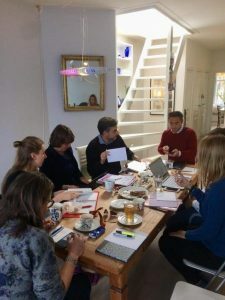 After pitching and advocating, there is agreed on having a trial year. In this trial year it’s my ‘duty’ to define and shape the role. At the end of this trial year I’ll advise the ENOTHE board on how to proceed based on my experiences and input from all of you. This first year is all about shaping this role. I take part and get involved in the day to day tasks of the ENOTHE board. The board involves me in everything, e.g. finances, projects, emails from members, decisions that needs to be taken. They really treat me as an equal, which makes it much easier to give feedback and bring up new ideas! I aim to have more student engagement, so when I see an opportunity to get students involved, I’ll give my opinion and/or feedback. For example the criteria “have at least one student being part of the project group” has added to the project-guideline for an ENOTHE Project. Next to the day to day tasks of ENOTHE, I’m also participating in the monthly skype sessions and face to face meetings. Last December was the first face to face meeting with this new board. During this meeting I prepared a session to brainstorm about their ideas and vision on the Student Representative role. I’ve asked them the same questions as SPOT asked the students during the Student Session @ AM in Portugal last October, in order to compare our student ideas with the ENOTHE board ideas to see which bridges needs to be build this year which will bring us closer in making this role into a success for both students and teachers. The next face to face meeting is coming up in April. This meeting is mainly about the next AM, which is going to take place in Athens. We’ll have the meeting in Athens as well (Yay!) to check the venue, speak to the organizing committee etc. We’re also going to develop the program and decide which abstracts will be accepted that’s have been send in (abstract submission is April 15th, 2019 – so if you want to give a presentation, workshop or share your project through a poster; don’t forget to submit your abstract!). One of the things that’s on top of my to do list when I’m in Athens is to meet with students from The Metropolitan College – who will host this AM. I want to get to know them, inform them about procedures, brainstorm with them, see if and how I can assist in the upcoming months and which ideas they have which I can bring to the ENOTHE board. Not only do I want to meet students in Athens to hear their ideas and suggestions, as a student representative I represent your voice as well! So..